The Luces were good friends of my grandparents. My dad said he remembers that, like his own mom, Mrs. Luce was a wonderful baker. Each year, to help with the income, she spent time baking up homemade goods and taking them to the local farmer’s market to sell. I’m sure this is part of what made she and Grandma Dora such good friends. They shared a love for baking. They enjoyed talking about recipes, tips and other baking secrets throughout their many years of friendship. I actually remember as a child, going to visit Mr. and Mrs. Luce. We drove out in the country to their home. We ate treats, made by Mrs. Luce but, what I remember the most is that Mr. Luce gave my sisters and brother and I each a shiny half-dollar. I treasured that half-dollar for many years. Actually, I still have it in my drawer of special things that I collected as I grew up. 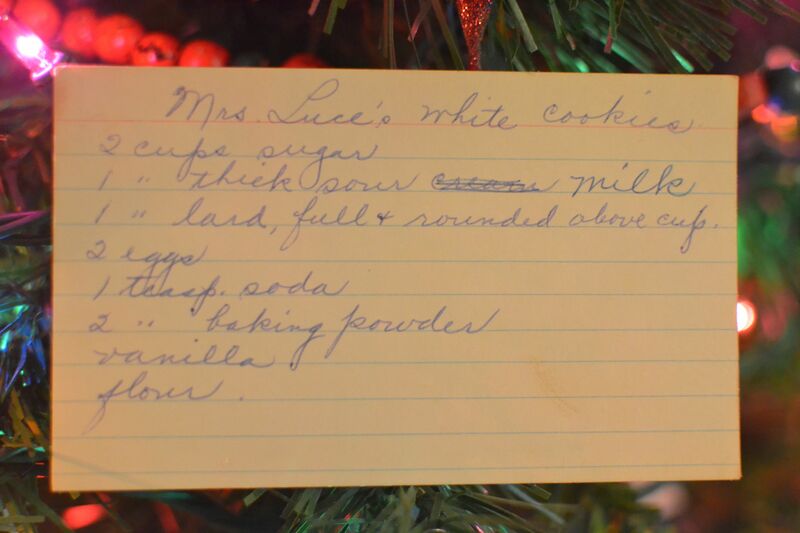 As I was looking through my Grandma Dora’s recipe box, I found a recipe, Mrs. Luce’s White Cookies. I recognized Mrs. Luce’s name and had even met her, so it made baking the cookies even more fun. 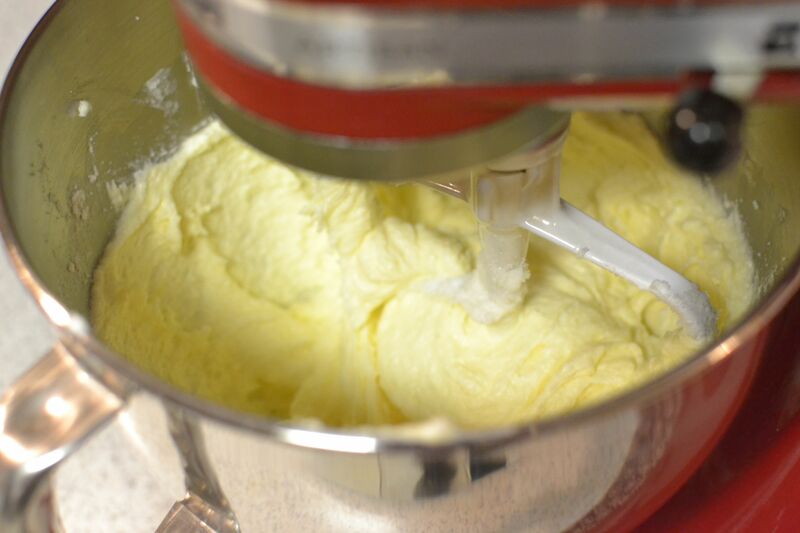 Cream sugar, lard (shortening) and eggs. Combine dry ingredients. 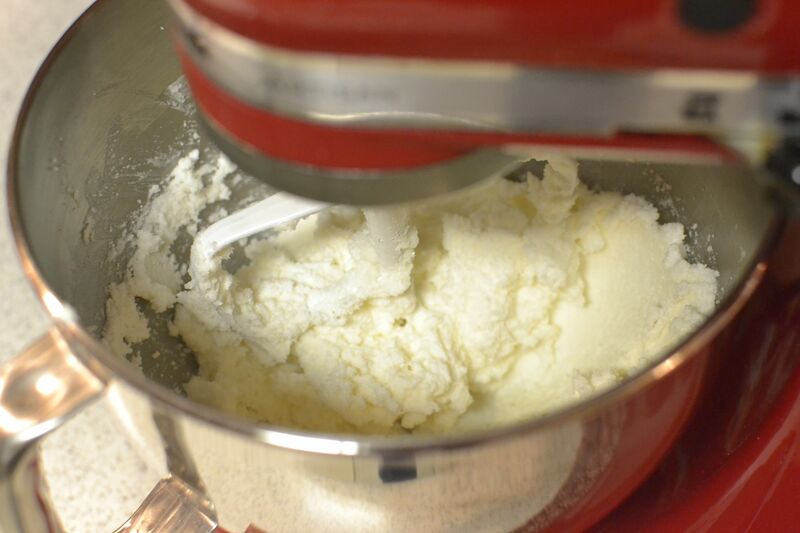 Add a little at a time to creamed mixture, alternating with the sour milk until incorporated. Add vanilla. Roll into balls and roll in sugar. Bake for 12 minutes at 350 degrees. I began creaming the sugar, shortening and eggs. Then I alternated adding the dry ingredients mixture and the soured milk. The recipe says that the soured milk should be “thick.” So I added two tablespoons of lemon juice before I filled the measuring cup with milk. I let it set as long as possible before I used it so it would be as “thick” as possible. Then I added the vanilla. The recipe simply called for “flour.” It’s always hard to judge what that means. After putting in three cups though, it looked more like cake batter consistency. I ended up using five cups before it looked like cookie dough! 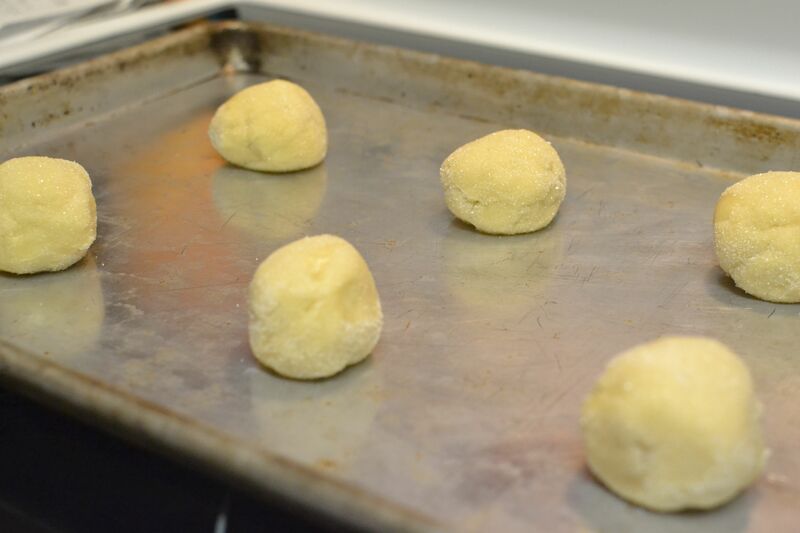 This recipe also didn’t say if the cookies should be rolled out or rolled into balls. Rolling out the dough sounded like a lot of work, so I opted for rolling the dough into balls instead. Then I rolled the balls in a bit of sugar for a little sparkle. For Christmas, you could roll them in green or red sugar to make them look fun and festive! The cookies baked for 12 minutes at 350 degrees. It seemed like just the right amount of time. I let the cookies rest on the trays for about 1 minute before transferring them to the cooling rack. While I didn’t frost them, I do think they would be extra good with icing! 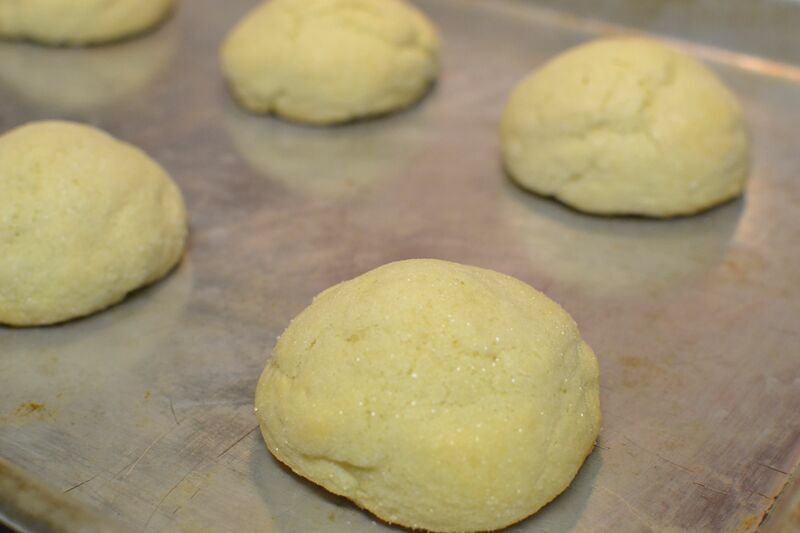 Mrs. Luce’s White Cookies were very simple to make. They reminded me of something that would be served at a tea party. 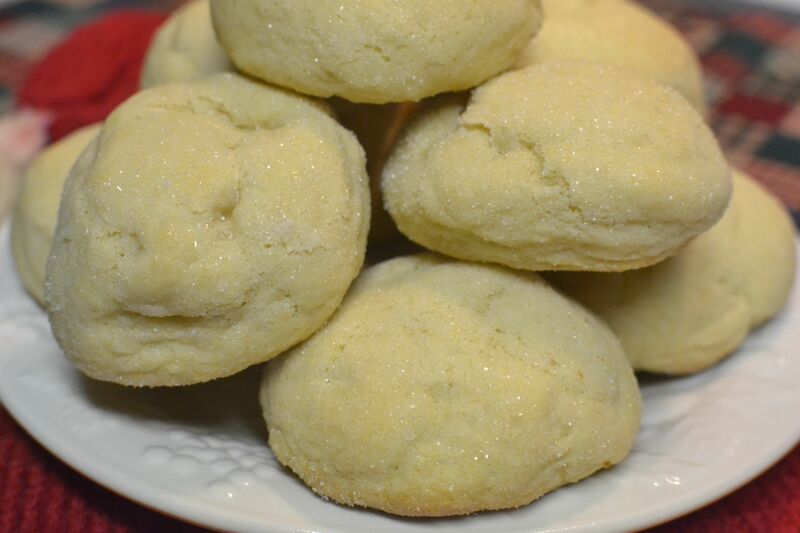 They are a light cookie, different from regular sugar cookies. I compared them to a soft, sweetened biscuit. 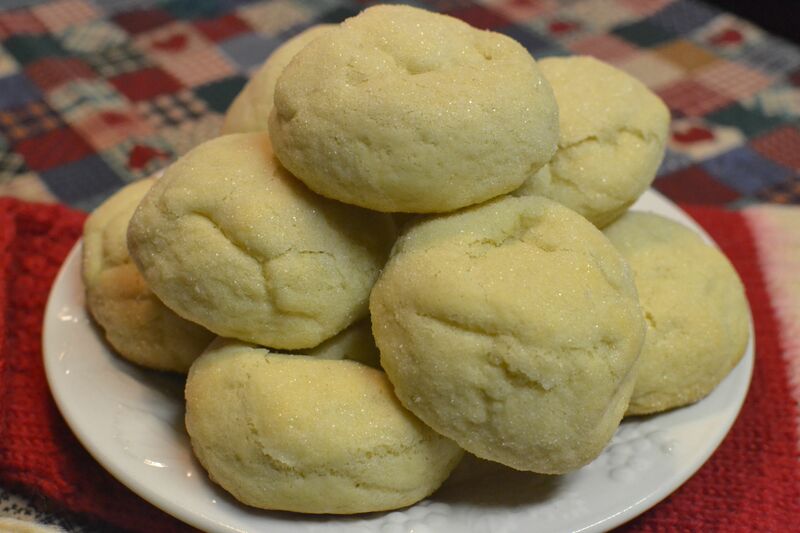 Have fun making Mrs. Luce’s White Cookies, and enjoy them with a cup of hot tea this Christmas season! 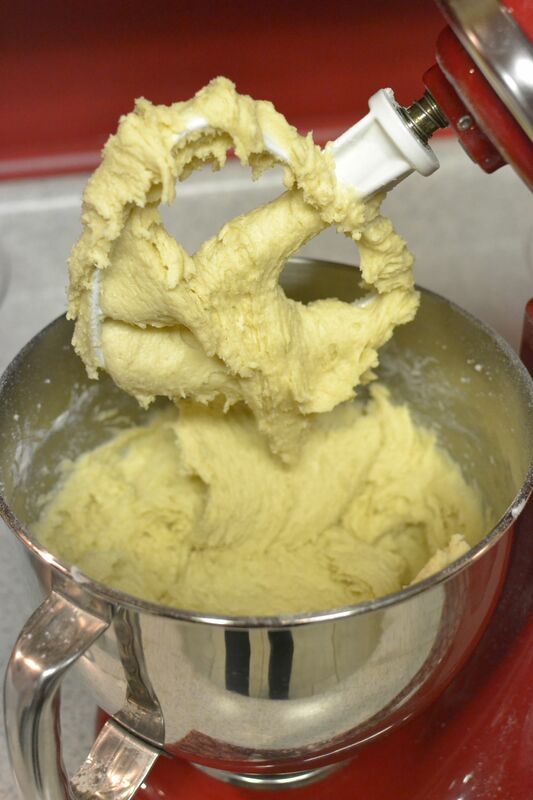 This entry was posted in Cookies, Dessert, Snacks and tagged baking, Cookies, dessert, farm cooking, grandma's cooking, homemade, scratch cooking, White Cookies by GrandmothersRecipeBox. Bookmark the permalink.